The Xiaomi Mi Mix 2s will feature wireless charging, Xiaomi has all-but confirmed. In a Mi Mix 2s teaser image posted on its official Weibo account (via GSMArena), Xiaomi shows off a power symbol floating above what appears to be a circular charging pad, firmly indicating that the functionality will arrive on its new handset. A wirelessly charging Xiaomi flagship has been rumored since last September, following news that the company had joined the wireless charging consortium. 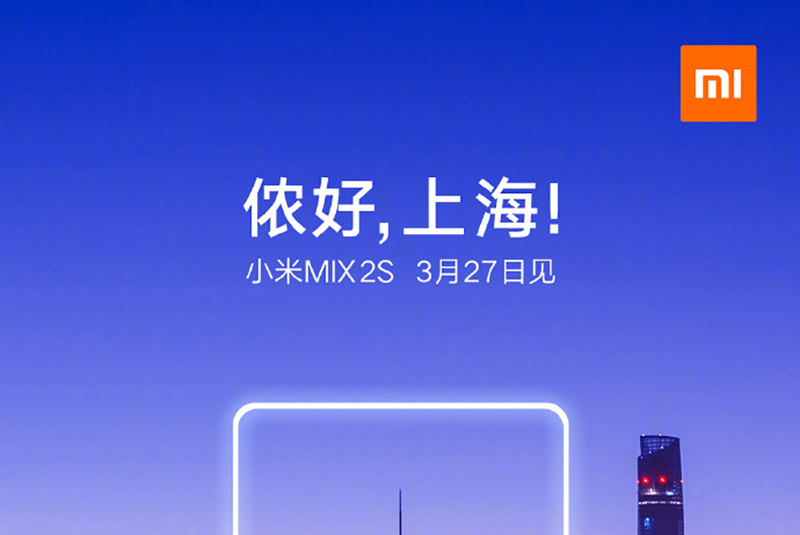 The feature is yet to show up, but the Mi Mix 2s, launching in Shanghai on March 27, seems like a sensible place to introduce it; the Mi Mix series carries a certain expectation innovation—the original device was one of the first in the recent wave of handsets to feature a “bezel-less” design. The latest rumors suggest that the Mi Mix 2s will once again follow the bezel-less screen route, and come with a 6-inch display, Snapdragon 845 chip and dual rear-camera setup. The device is also tipped to feature a display notch that would house the front-facing camera—though it would be quite different to the iPhone X approach. That rumor remains unconfirmed. Are you excited to see what Xiaomi delivers with the Mi Mix 2s? Let us know in the comments.